What makes your site different or special? We [at Varsity Diggs] know that student housing backlog is very high is because there is no formal marketplace for student housing in South Africa. There is a high demand for student housing and there is a rising supply to meet the demand, but it is difficult for both players to find each other in the market. We have been six months in the making and have listed the widest range of rooms that are managed specifically for students, giving students the power to explore and compare a variety of rooms across different places so that they can make the right choice. We hope to create a culture of students searching for accommodation online, and people opening their rooms for students to rent. What do you do at Varsity Diggs? I co-founded Varsity Diggs with four other partners, and have been working as its managing director. I am often on the road getting the product in the hands of students and property owners, which includes doing media interviews, university activations, social media marketing, and finding partners to fund the work that we do. What sacrifices have you had to make as a result of your commitment to Varsity Diggs? I spend a lot of time and effort working on Varsity Diggs, which means that I do not spend as much time as I used to with family and friends. Entrepreneurship means freedom in a world where people are being educated out of their dreams by a system that would have us be perpetual employees. My journey in life was tracked since I started showing signs of achievement. In my matric year, my teachers predicted accurately that I would enter university with a scholarship, and one day work for a big company. 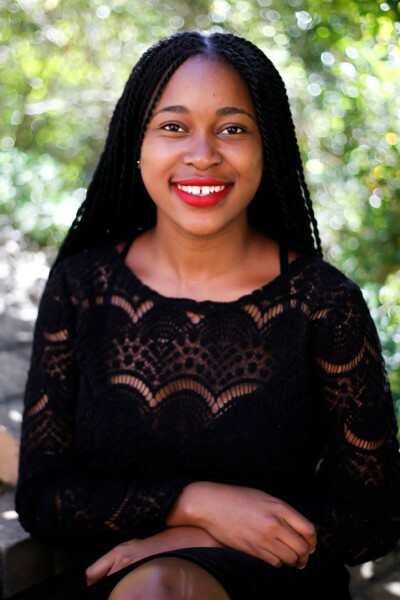 After a conventionally successful matric year, I enrolled at the University of Cape Town with two scholarships and did internships every six months to set myself up for success in a big company. I did all of this at the expense of bringing my dreams to life. I fell into an existential crisis in 2015, in the sense that I wanted to break free from the system but was not sure how to go about it. I eventually decided to drop out and create something I am deeply passionate about, before ever considering to go back. I have been doing entrepreneurial work. Work that I am excited about, that solves a problem, and that empowers me. I am very happy, and although I am not sure what the future has in store, I am sure that this is the path to true freedom. What do you want to achieve in order to consider your business successful? I want to make profit. Success in business is marked by mobilizing people to use your product, and to find so much value in it that they pay for it. I had a lovely breakfast for Valentine’s Day.